Holy Stone X400C Review – The Daredevil Drone! Check out one of the latest quadcopters from Holy Stone’s X-Series: the Holy Stone X400C FPV. It looks like something straight out of a Star Wars or Ridley Scott film! 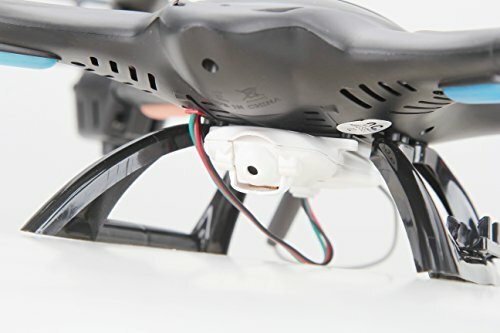 It has some unique features that are rare for drones in this price-point. Continue to read our full X400C review to find out more! This drone comes with a 3.7V 750mAh battery that takes about an hour to fully charge. The battery life allows the drone to fly continually for an average of 9 minutes. The drone does not come with extra batteries, but, you can find them on Amazon for only a few bucks. The battery charges with a convenient USB cable. This quad has great handling, is very powerful, and has 3 modes to choose from which are basic, intermediate and advanced. The controller is slightly larger than the gamer style drone controllers popular with smaller quadcopters, but it has more functions, such as the ability to flip and roll mid-air. There is a bit of a delay when using the FPV video system on your phone. It does stream the image, but it is not quite “real-time” and therefore you couldn’t fly the quad while relying solely on the FPV video. One function that the X400C has which is rare on quadcopters in this price range is the ability to switch which stick on the controller controls the throttle. In other words, it can be switched between Left Hand Throttle and Right Hand Throttle, plus there is a limit mode designed for protecting the safety of beginners. This drone can fly pretty high and up to a distance of 100 meters. 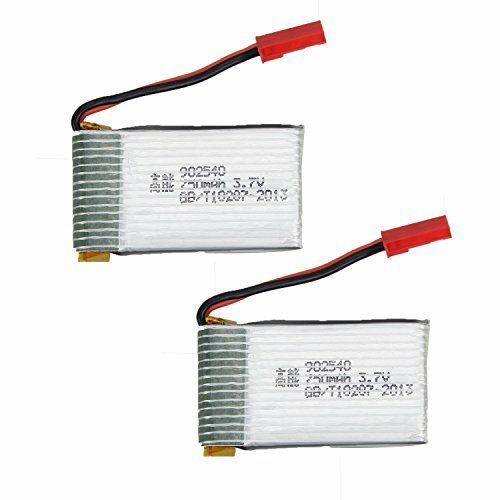 The transmitter is very strong and can work very well even at far distances, although the built in camera does not transmit as well the farther you fly it. The video from the FPV system will begin to lag and break up the further away you get. It operates very well in the 15-20 meter range, any further and you may start to get a weaker signal or experience interference. 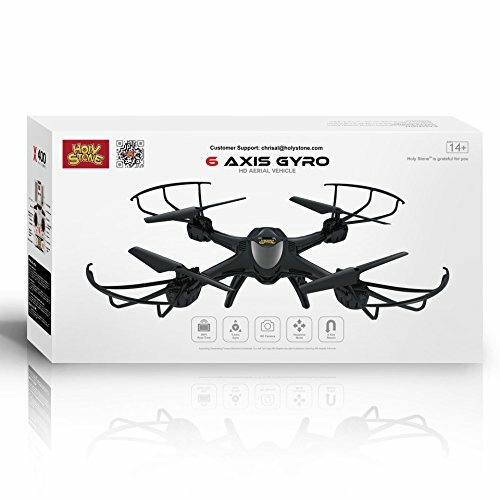 This is an amazing drone to have whether you are an expert or a novice. As a novice there are plenty of features and functions to help you learn the basics of drone piloting, as you eventually become more comfortable and graduate into a more experienced pilot, you will fall in love with its more advanced features. This drone has a sleek design, is durable, strong, agile, and wickedly quick. The FPV feature is just icing on the cake! There is a cool smartphone mount feature on the remote control that is adjustable for various sized phones. The drone is very lightweight, and it is made up of parts that are easy to maintain or fix if need be. 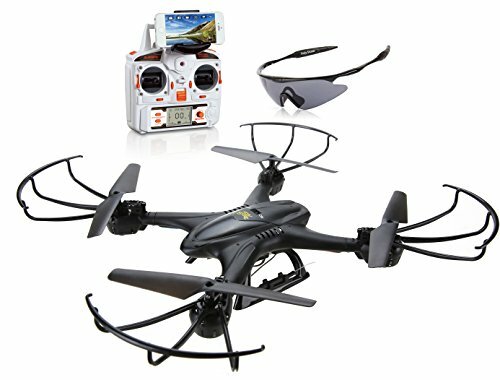 This is an awesome Quadcopter, with outstanding features! It is perfect for the beginner to the pro. This drone will flip, barrel roll, and make 360 degree rotations, and do all sorts of other cool stunts. The durability and blade protectors helps this drone take all sorts of punishment from crashes to hitting trees and bad weather. Do not be afraid to become a bit of a daredevil with this drone, and you can capture some great footage while doing it! Grab yourself an X400C on Amazon! Want the Best Drone News? Follow These 3 Twitter Accounts! October 16, 2015 FreshSqueezed Comments Off on Where Is This?! ?